Camera Reviews / Panasonic Cameras / Lumix Mirrorless i Now Shooting! 5.9 x 4.3 x 3.8 in. Panasonic S1R Review -- Now Shooting! While I have been unable to use the a production-ready S1R camera, based on the time I have had with the camera (and lenses), I think that there is a lot to be excited about as we approach the launch of Panasonic's new full-frame mirrorless camera system. The usability of the S1R is excellent. It may be large and heavy, especially compared to other full-frame mirrorless cameras, but is remarkably well-designed. The build quality is very good, and the electronic viewfinder is one of the best on the market. Not only is the camera comfortable and easy to use, it also performs well. Image quality, at least so far based on JPEG files, is really good, and I'm hopeful that raw image quality will follow suit. Autofocus and continuous shooting performance are impressive as well. First impressions are important and the Panasonic S1R has delivered positive impressions in spades. I'm excited to see how the S1R performs in our lab and more broadly, how Panasonic continues to develop their new system. 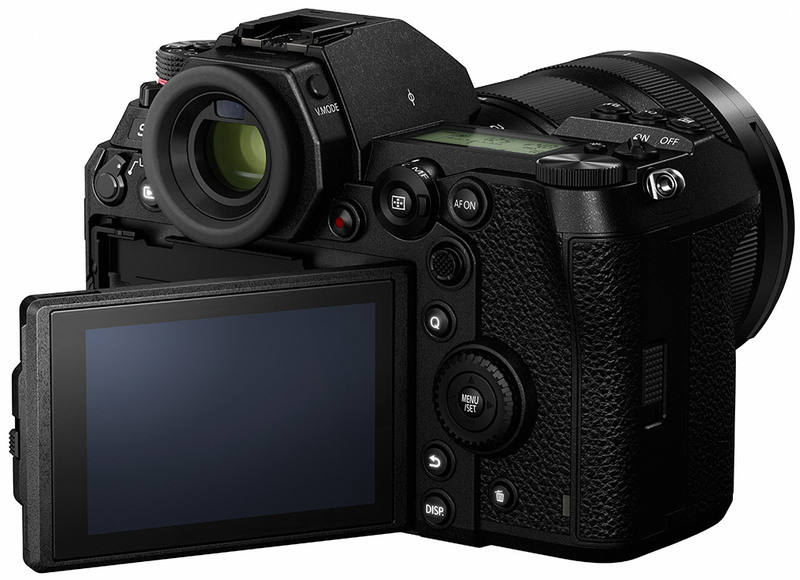 Click to read our Panasonic S1R Hands-on Part II! As one of the co-developers of the Micro Four Thirds mirrorless standard, Panasonic has been a leader in developing a compact ILC system centered around this fairly small sensor size. Back in 2008, Panasonic unveiled the world's first digital single-lens mirrorless camera, the Lumix G1, and now over ten years on, they are starting a new chapter -- with a new sensor size. Among pros, Panasonic's GH-series MFT cameras have been extremely successful, especially for videographers; the latest GH5 and GH5S cameras, in particular, offer a slew of professional-level video features, and the image quality and performance to match. 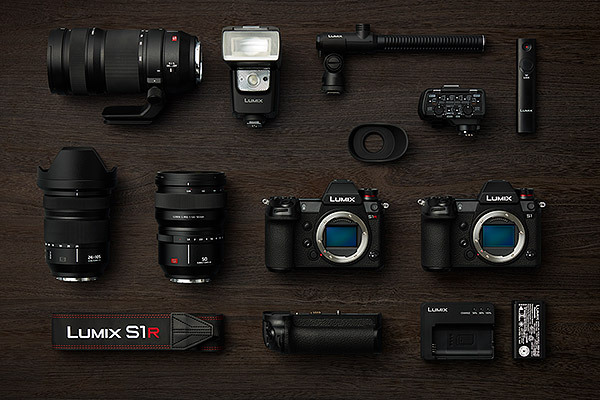 With the new full-frame Lumix S series, Panasonic is aiming to take the photo and video expertise of their Micro Four Thirds system to the next level, offering an even higher-end, truly professionally-focused camera system. In the run-up to Photokina 2018, Micro Four Thirds powerhouse Panasonic announced the development of not one but two professional-level full-frame mirrorless cameras, the Lumix S1R and Lumix S1. And now, as we enter February 2019, Panasonic finally takes the wraps off their first pair of full-frame mirrorless cameras. Although there were a few specs and features mentioned last year, we now know in-depth details about what the high-res Panasonic S1R (and its 24MP sibling, the S1) is all about. Following a similar pairing strategy to Sony's A7R and A7 models, the Panasonic S series so far comes in two different flavors: one high-resolution body that's designed more squarely for still photographers, and one with more modest resolving power but that's aimed at being more of a photo/video-hybrid camera. With both models powered by an all-new Venus Engine image processor (more on that in a bit), the Panasonic S1R sports a 47-megapixel full-frame CMOS sensor, while the Panasonic S1 comes with a more manageable 24-megapixel sensor. However, Panasonic did clarify that despite the Lumix S1 being the more photo/video-hybrid model of the two S series cameras, it is still more photo-centric than the GH5/GH5S cameras. The S1 offers more video features than the S1R (although the latter is no slouch itself for video), so head over to our Panasonic S1 preview for info on that model. 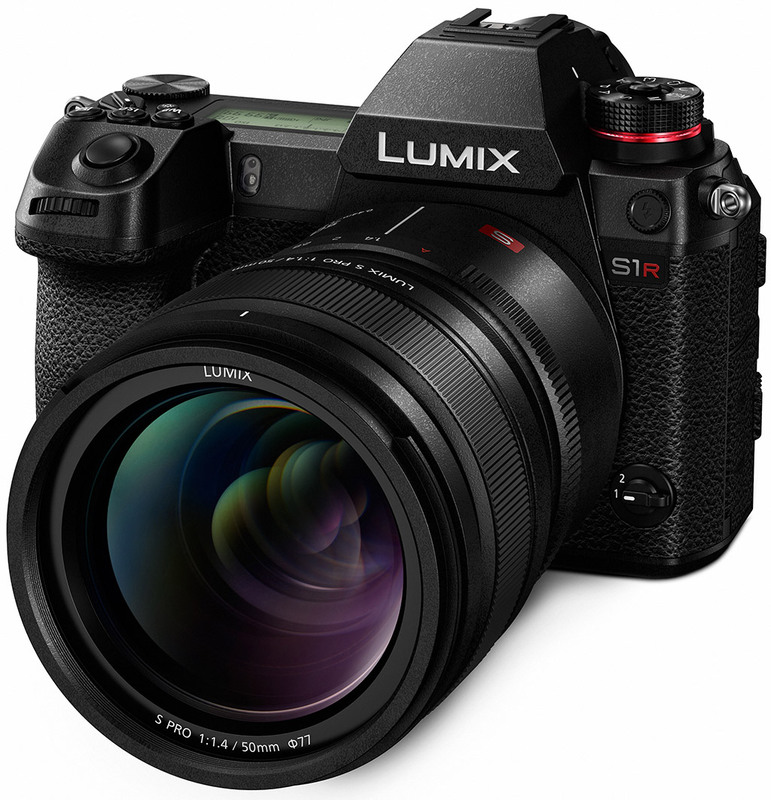 As for the imaging pipeline of the S1R on its own, as mentioned, the camera is powered by all-new, Panasonic-designed 47.3-megapixel CMOS sensor that offers a native ISO range of 100-25,600 (expanded ISO range of 50-51,200) and is capable of capturing 14-bit raw files (and 12-bit video output). The new sensor sports an anti-reflective coating and lacks an optical low-pass filter for maximum image resolving power. Despite the high-resolution sensor, Panasonic claims the S1R's sensor features an excellent signal-to-noise ratio, allowing the camera to produce impressive high ISO image quality performance. The microlens array utilized on top of the sensor are aspherical lenses and are designed for more efficient peripheral light collection. Other technical advances for increasing light-gathering efficiency include optimizing how light travels to each of the sensors' photosites as well as having a deep photodiode structure for improved light capture of longer wavelengths of light, such as reds. All this is combined with fast parallel A/D (analog to digital) conversion results in fast sensor readout. Paired with the new sensor is also a new Venus Engine processor, providing both advanced image processing as well as agile performance. On the image processing side, the focus of the Lumix S1R is all about accurate, natural-looking fine detail and colors across the camera's ISO range. The new Venus Engine's Intelligent Detail Processing creates images with natural-looking fine detail as well as improved suppression of color moiré artifacts. Additionally, there are enhancements to color rendering, with a focus on accurate color reproduction for both bright and shadow areas. In addition to regular 47.5-megapixel still images, the Panasonic S1R also features a multi-shot High-Resolution Mode. Like some other recent cameras with body-based image stabilization systems, the Panasonic S1R features a high-resolution shooting mode that quickly captures multiple (8) frames, with the sensor repositioned ever-so-slightly between frames, and stitches them together automatically for a final image with some truly impressive resolution. With a high-res 47MP sensor, the Panasonic S1R takes High-Res Mode shooting to the next level, creating an incredibly high-detail image with 187 megapixels. Yes, 187MP. Better start stocking up on high-capacity memory cards and hard drives now! Like most High-Res multi-shot shooting modes, the S1R's version requires a tripod and is designed mainly for static subjects, such as architectural, landscape and product photography. For landscapes, in particular scenes with trees and other foliage, it's difficult or nearly impossible to have everything in your scene remain perfectly still during the High-Res capture period. Luckily, the Panasonic S1R has a setting for this which helps combat and reduce the motion blur seen when capturing High Res images of subtly-moving objects like foliage. High-Res images are captured in RAW mode, but can be converted to high-res JPEGs in-camera. The Panasonic S1R has yet another interesting image capture mode, called HLG Photo Mode. 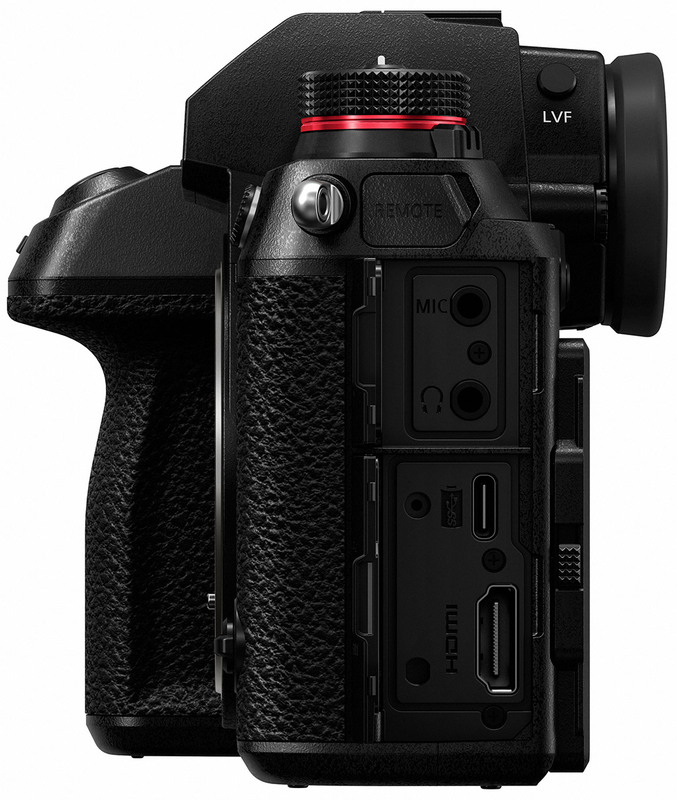 In a sense, it's similar to an HDR-type capture mode, but the camera instead records an 8K image with a compressive brightness and in a unique HDR filetype (.HSP - "HDR Still Photo" filetype). Then, when you plug the S1R (or its SD card) into HLG-compliant 4K TV television, the resulting image is displayed back with an expanded dynamic range appearance. Other new image capture modes include a new "Flat" Photo Style with reduced contrast and saturation; new aspect ratio options of 65:24 and 2:1; a new Highlight-weighted Metering Mode that helps prevent blown highlights; and an additional Auto White Balance mode, dubbed AWBw, that skews on the warm side in order to preserve warmer, redder tints such as in skin tones even under fluorescent lighting. 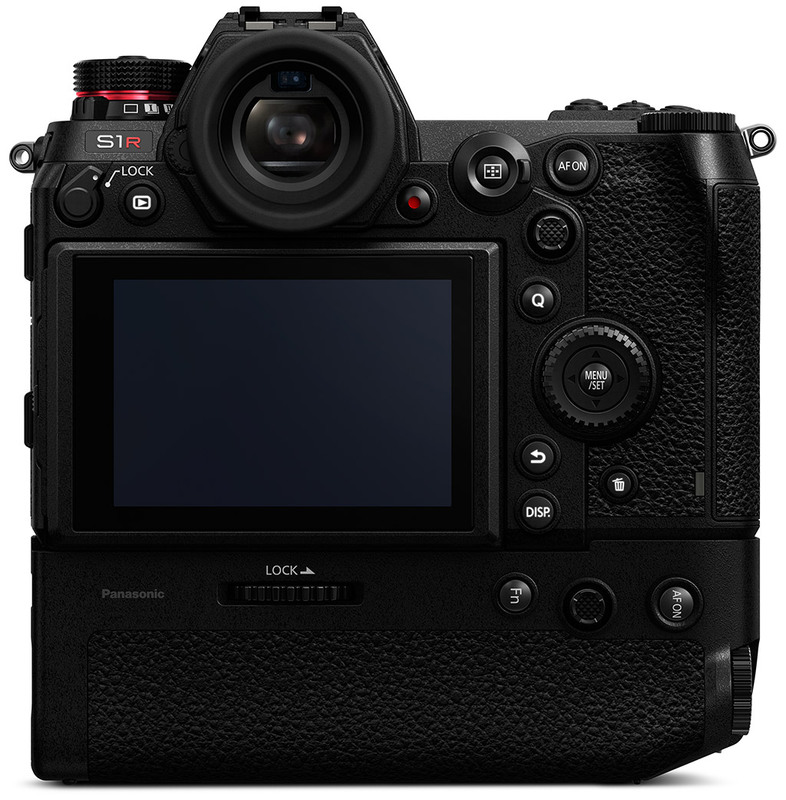 Much like Panasonic's Micro Four Thirds cameras, the Panasonic S1R uses a contrast-detect autofocusing system with DFD technology; the S series cameras do not have on-sensor phase-detect pixels like most other full-frame mirrorless cameras. Nevertheless, Panasonic claims some pretty spectacular AF performance for the S1R, with a 0.08s AF acquisition speed and excellent low-light and low-contrast focusing capabilities. In terms of speed, the camera body and lens work together, with the lens' focusing element(s) and the image sensor communicating at 480fps, while the Venus Engine processor analyses image data and performs the necessary DFD calculations, all in order to achieve focus quietly and accurately in only 0.08s. The camera is also able to autofocus in conditions as dim as -6EV (AF-S mode at f/1.4 and ISO 100), and on dark, low-contrast scenes down to -3EV. So, whether you're shooting at night or in the misty, early-morning fog, the S1R should be able to acquire focus without issue. When it comes to subject tracking performance, the Panasonic S1R has some interesting tricks up its sleeve. The camera incorporates an artificial intelligence-based subject and scene recognition system that uses not only DFD information and Facial/Eye Detection but also a new Deep Learning system that lets the camera recognize both human bodies as well as animals (cats, birds, dogs, etc). To develop this human/animal recognition system, Panasonic trained a deep learning system with a huge dataset of images. 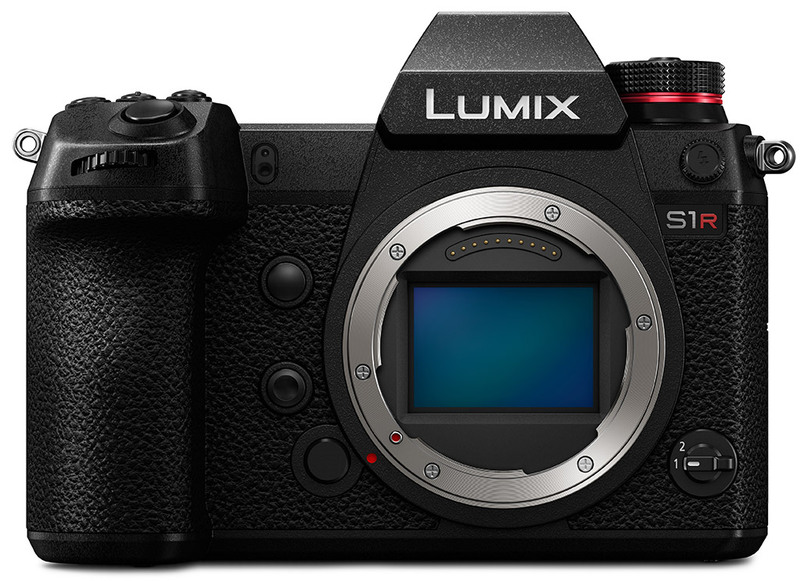 Much like its "smaller" Lumix G9 sibling, the Panasonic S1R offers a similar array of 225 selectable AF areas, with various AF point grouping options to choose from. The new A.I.-based subject recognition system can be enabled or disabled manually depending on your shooting style. Enabled, the subject tracking system will continuously track the subject across the frame, thus letting you put more focus into your composition rather than trying to keep your AF point(s) over the subject. 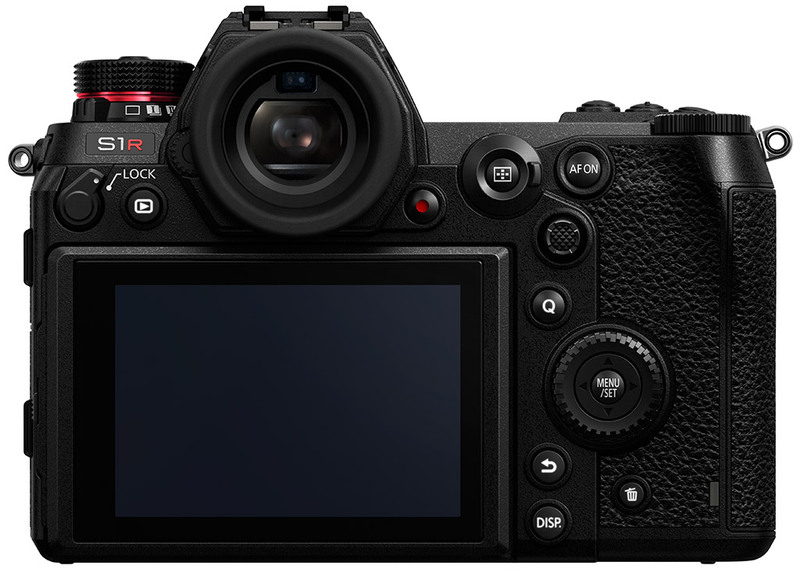 The Leica SL, another full-frame mirrorless camera that happens to share the same lens mount as the Lumix S series (more on that below), also uses DFD technology for its autofocus. In our review, we found the Leica SL's AF performance to be excellent for still subjects but it struggled somewhat to keep up with fast-paced subjects. On the other hand, the Lumix G9, Panasonic's photo-centric flagship MFT camera, also uses DFD technology, and our Field Tester found its continuous AF performance to perform rather well, even on small birds and with long telephoto lenses. We can't wait to test out the S-series' C-AF chops once we get a shootable sample! When it comes to still photo performance features, the S1R offers some impressive continuous burst shooting specs, despite its high resolution. It's not the fastest full-frame camera on the market, but the S1R isn't intended to be a sports- and wildlife-centric camera. With single-shot AF, the S1R shoots at up to 9fps at full resolution, but if you flip into continuous focus, the burst rate drops to 6fps. Given the resolution, the burst speeds themselves are respectable for this class of camera, comparing quite similarly to the burst rates of the rivaling Nikon Z7 (the Z7 can shoot faster with C-AF only, but if you want C-AF and AE, the burst rate drop to around 5.5fps). Buffer depth is quite good even with its high-resolution sensor, though the lower-res S1, understandably, offers much, much deeper buffer depths. Panasonic states the S1R can capture up to 40 full-resolution raw files, 50 JPEG images, or 35 RAW+JPEG pairs -- regardless of AF shooting mode/burst rate. If you don't mind a drop in resolution, the S1R offers both 6K PHOTO and 4K PHOTO burst shooting with at 18MP and 8MP image sizes, respectively. 6K PHOTO captures images at 30fps, while 4K PHOTO mode is offered in both 30fps and 60fps. 6K PHOTO mode can continuously capture up to 10 minutes, while 4K PHOTO mode goes up to 15 minutes. The camera's highly durable shutter mechanism offers up to 1/8,000s shutter speed, is rated for 400,000 actuations and offers the world's fastest flash sync speed of 1/320s (for a full-frame mirrorless camera), though that's at reduced flash power (similar to what some high-end Nikon DSLRs can do). We've asked Panasonic for the maximum x-sync speed at full flash power, and will update this section once we find out. In electronic shutter mode, the top shutter speed increases to 1/16,000s, but electronic first curtain shutter (EFCS) mode top out at 1/2,000s. Bulb mode exposures as long as 30 minutes are possible with mechanical or EFCS shutter, and up to 60 seconds with the electronic shutter. While recording movies, the electronic shutter speed range is 1/25s to 1/16,000s. A long-time maker of optically-stabilized lenses, Panasonic debuted in-body image stabilization with the GX8, creating Dual I.S. in which lens stabilization worked in combination with sensor-shift stabilization. Since then, Dual I.S. and Dual I.S. 2 have made their way into the most of Panasonic's Micro Four Thirds cameras. 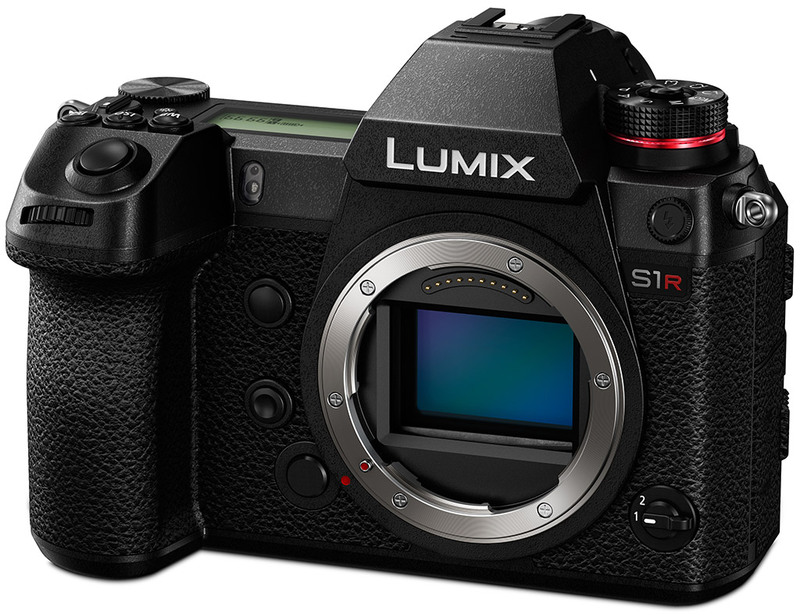 With the S1R and S1 cameras, Panasonic brought their Dual I.S. technology to full frame. Now, according to Panasonic, the inclusion of Dual I.S. is a "world's first" for a full-frame digital interchangeable lens camera. But, it should be noted that Sony's had their 5-axis SteadyShot sensor-shift technology for some time now, starting with the A7 II, which can work in conjunction with optically stabilized E-mount lenses. But, when it comes to full-frame cameras with Panasonic's "Dual I.S." brand of image stabilization technology, then yes, the S1R and S1 cameras are a first. In terms of capabilities, the new Panasonic S1R is pretty impressive when it comes to image stabilization. Panasonic designed a stabilization algorithm based not only on info from a gyro sensor but also data from both the image sensor and an accelerometer. The 5-axis IS system in camera body itself offers up to 5.5 stops. The in-body IS mechanism is about 2x heavier than that of Lumix Micro Four Thirds cameras, housing four larger voice coil motors for increase speed and precision. When using an optical stabilized lenses, the two stabilization system work together for even better stabilization correction; this Dual I.S. 2 system can produce up to 6 stops of correction, and it works for both stills and video (including 4K). As mentioned, the S1R is more of a still photographer's camera than it is a video shooter, but the camera nevertheless offers some healthy video chops. For starters, much like the S1, the S1R, too, offers 4K UHD video up to 60 frames per second, making them the world's first full-frame DSLM cameras with 4Kp60 video. Panasonic was the first to introduce 4K video to a DSLM (in the GH4), and then the first DSLM with 4Kp60 (in the GH5). Panasonic made a huge splash with their GH-series for videographers, so it's exciting to see them push the envelope here with their full-frame mirrorless cameras. In addition to 4Kp60, UHD video can also be recorded in 30p and 24p (as well as 50p and 25p for PAL regions), and at a high 150Mbps bit rate and in 4:2:0 8-bit. Despite the large sensor and high native resolution, the S1R produces a small crop for 4K recording, at 1.09x, and uses pixel binning. The S1, however, does not crop for 4K video (in 30p, 25p, 24p; it does in 60p). Further, the S1R only records 4K video in MP4 format and has a fairly limited continuous recording time at just 15 minutes for 4K (all frame rates) and 10 minutes for high-speed (slow-mo) 4K, whereas the S1 offers unlimited 4K recording in sub-60p frame rates (4Kp60 is limited to 29:59 and high-speed can be shot for a little longer at 15 minutes). Full HD video is also offered, in a similar array of frame rates, as well as high-speed recording option at up to 180fps. The bitrate for Full HD video in the S1R is capped at 28Mbps, whereas the optional paid upgrade for the S1 bumps this up to 100Mbps in that camera. Recording time for the Full HD is unlimited, in both MP4 and AVCHD formats, however, High-Speed mode is again limited to just 10 minutes of continuous recording. Like many of the Lumix Micro Four Thirds models before it, the S1R offers a number of cinema-focused video features, including Cinelike D, Cinelike V and Like709 Photo Styles, adjustable Luminance levels, Zebra overlays, focus peaking, clean HDMI output (only 4:2:0 8-bit, whereas the S1 with the optional upgrade can gain 4:2:2 10-bit). There's also a Type-A HDMI port, a 3.5mm mic jack, a headphone jack and support for an optional XLR microphone accessory. Despite the differences in image resolution for these two models, the S1R and S1 cameras are identical in shape, styling and ergonomics. The Panasonic S1R (and S1) looks and feels like a larger brother to the Lumix G9. The camera offers a deep, comfortable handgrip, ample room for numerous physical controls and dials, as well as a large top-deck info display. The rear LCD design is new, however, compared to the G9, offering a handy three-way tilting design much like that of the Fuji X-T3, for example, allowing for easy viewing in both portrait and landscape orientations. The 3.2-inch, 2,100K-dot LCD screen itself offers touchscreen functionality like most modern mirrorless cameras, features adjustable brightness levels, and uses an RGBW LCD panel for high brightness and improved visibility in sunlight. The LCD is certainly nice, but EVF is the big talking point when it comes to looking through the camera. Not only is the EVF itself physically large with a deep eyecup, up to a 0.78x magnification ratio (adjustable with three magnification levels) and a 21mm eyepoint, but the EVF display is extremely high-res. The OLED EVF is the world's highest resolution viewfinder screen in a mirrorless camera to date, at 5,760K-dots of resolution. According to Panasonic, the EVF in the S1R offers an image resolution that's very close what's seen with the naked eye, and when you factor in the 0.005s lag and the 60/120Hz refresh rate, the S1R offers an EVF experience that's extremely close to what DSLR users are accustomed to with an OVF. Much like large DSLR cameras, the Panasonic S1R includes a top-deck info display screen, which offers a quick glance at critical shooting settings as well as battery life and card(s) capacity. What's more, even if you power off the camera, you can still see the battery life indicator and the number of shots remaining. Handy! Both S series models are fully weather-sealed, as we'd expect given their professional, flagship nature. Panasonic claims both cameras are "100% sealed," though we certainly don't wouldn't consider them "waterproof," but they should safely withstand a healthy dose of dust, moisture and freezing temperatures (down to -10 degrees C/14 degrees F). 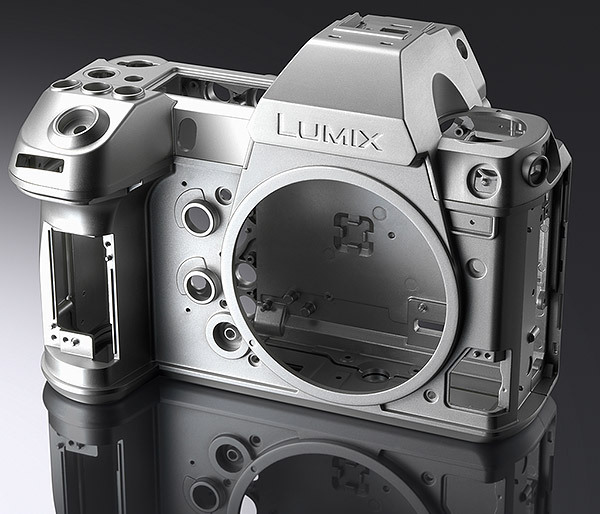 According to Panasonic, the S series cameras are weather-sealed to the same degree as the Lumix G9 and similar in ruggedness as the Canon 1D-series or as Nikon's flagship D-series DSLRs. One physical design feature that's sure to please professionals, advanced users, and many other serious photographers and videographers is the inclusion of dual memory card slots -- one UHS-II SD and one XQD (and the option to accept physically similar CFexpress card with a future firmware update). 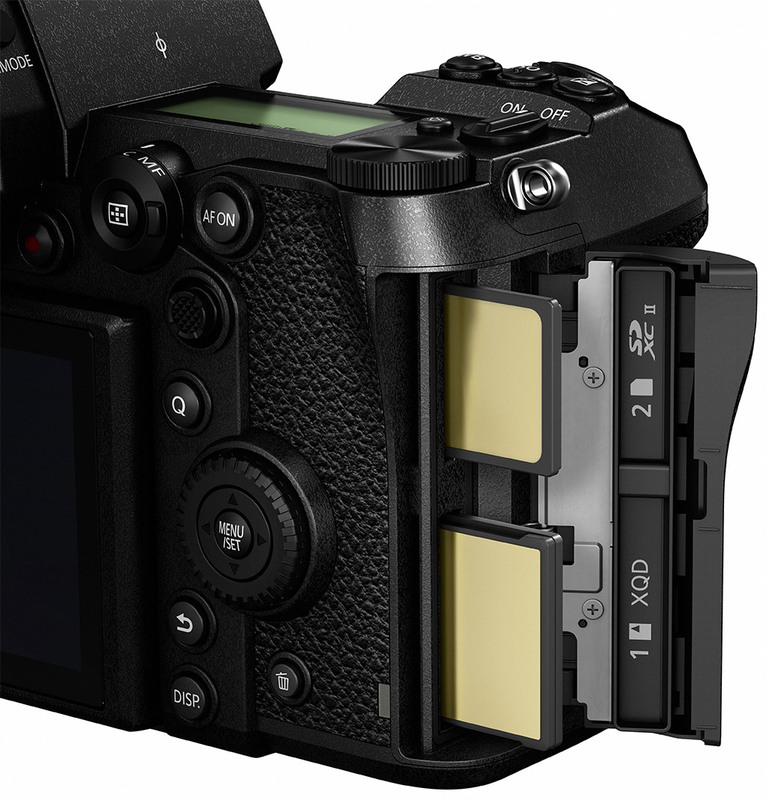 Both Canon and Nikon's full-frame mirrorless models offer just a single card slot, SD for Canon, XQD for Nikon. Not only do dual card slots provide the ability to expand your storage capacity and save media to the spare card once the primary one is filled, but they can also be configured to offer on-the-fly backup (recording media to both cards simultaneously), saving you from potential disaster should one card fail and become corrupted. Many professional flagship cameras, such as the Canon 1D X Mark II, Nikon D5, the Sony A9 as well as Panasonic's own GH5 and G9 cameras, offer dual card slots. Seeing as the Lumix S1R and S1 cameras are designed with the professional photographer and videographer in mind, it makes sense to see dual card slot support offered in these cameras. Further usability features include numerous physical controls and dials, as one would expect on a professional-level camera. There are front and rear controls dials, a rear-facing 4-way directional control with an additional scrolling dial functionality and a joystick control for fast AF point adjustments. Furthermore, there are dedicated white balance, ISO and exposure compensation buttons along the top deck of the camera. As expected, the controls are all highly customizable, and there's even a lock lever on the back that lets you disable a number of buttons and dials to prevent accidental operation. The rear buttons on the camera are also illuminated to improve usability in dark conditions. If you happen to own or move between multiple S1R or S1 camera bodies, you can even save all your camera settings and customizations to the memory card and load up your personalized settings onto a different S1/R body. Panasonic has not only refreshed their menu system UI for improved usability but the Quick Menu GUI gets an update, too, offering customization and easier access to frequently used settings. 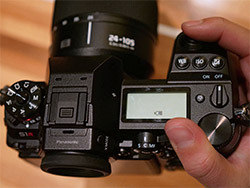 The primary menu system isn't entirely overhauled, so those familiar with Lumix MFT cameras won't be totally thrown for a loop, but the menu navigation is revamped, which Panasonic claims is more systematic and makes it easier to access frequent settings. Lastly, the battery life. 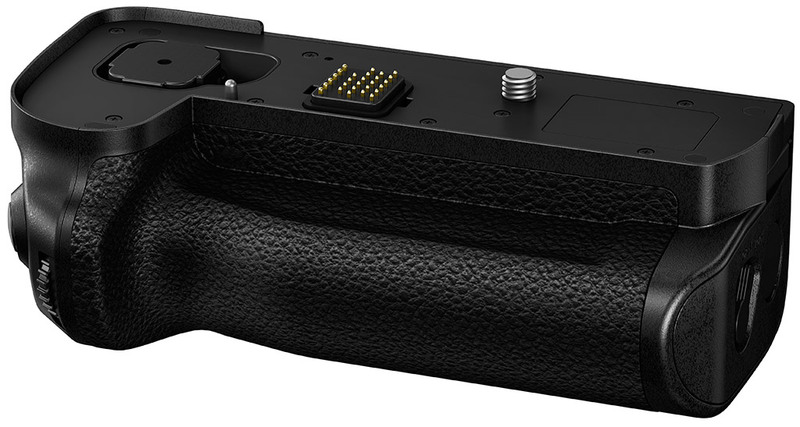 Mirrorless cameras have notoriously struggled to keep pace against DSLRs when it comes to sheer battery life -- powering shooting functions in addition to an EVF and/or the rear screen takes its toll. However, recent advancements in batteries have started to shift that balance, and larger camera bodies, too, often mean larger battery backs and longer battery life. The Panasonic S1R uses an all-new lithium-ion battery pack compared to the previous Lumix MFT cameras, such as the GH5 or G9. The larger battery gives the S1R a CIPA-rated battery life of 360 images/charge (LCD) or 340 (EVF) when using the XQD card. Battery life is slightly longer with the SD card, at 380 (LCD) and 360 (EVF). Overall, that's not fantastic battery life compared to professional DSLRs, however if you use the Power Save LVF (EVF) Shooting mode, which puts the camera to sleep automatically if you take your eye down from the viewfinder, you can seriously extend the shooting capacity out to over 1,000 images per charge -- 1,150 for the SD, 1,100 for the XQD. Plus, you can an add a second battery with the battery grip accessory, thus doubling your battery life. Furthermore, the S1R features a USB 3.1 Type-C port which supports USB Power Delivery, letting you charge your camera on the go, with your laptop, iPad, external battery pack, etc., without needing the dedicated battery charger. And you can even operate the camera while it's recharging. Very handy! As is typical with most modern cameras, the Panasonic S1R offers the standard array of wireless communication features, including Wi-Fi and Bluetooth. Wi-Fi supports both 2.4GHz and 5GHz frequencies (802.11ac for 5GHz, 802.11b/g/n for 2.4GHz), making image transfers quite fast. You can even wirelessly transfer camera setting between multiple S1/R bodies. Bluetooth supports the v4.2 Low Energy standard, which enables constant, low-power connections to paired smartphones or tablets. For studio shooters or other photographers requiring wired connections, the S1R supports tethered shooting via USB, including image transfer and camera control. As mentioned earlier, the camera features Type-A HDMI and USB Type-C ports as well as microphone and headphone jacks. It also provides a 2.5mm remote jack. 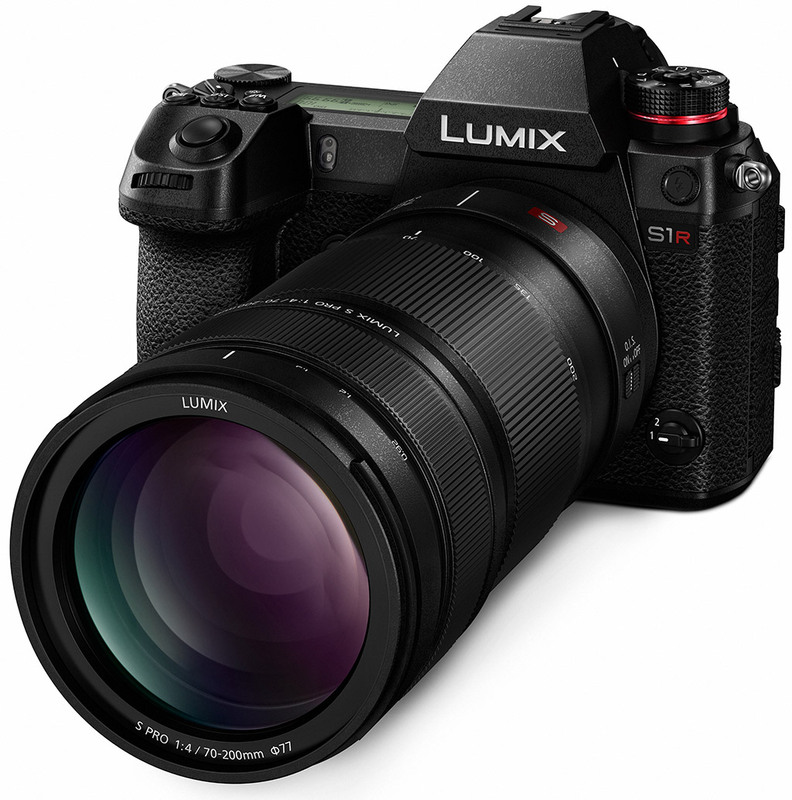 The Panasonic S1R will be sold both body-only and as a kit with a 24-105mm f/4 OIS ens. The S1R is slated for pre-sale in the US market starting on February 1st for a retail price of US$3,699 (body-only) or US$4,599 (kit). The DMW-BGGS1 (Battery Grip) is compatible with both S1R and S1 bodies will sell for US$349. Availability is estimated for early April. One of the major stories around these new Lumix S1R and S1 camera is the lens mount; they utilize the Leica L mount -- the same mount that's on the Leica SL. Panasonic and Leica have long had a strategic partnership, not only on lens designs and manufacturing but also sharing certain camera models. They've now taken the partnership to the next level, not only incorporating Leica's L mount into their cameras and lenses, but also bringing on famed lens manufacturer Sigma to form a new L-series Alliance. It's a pretty strategic move on Panasonic's part. 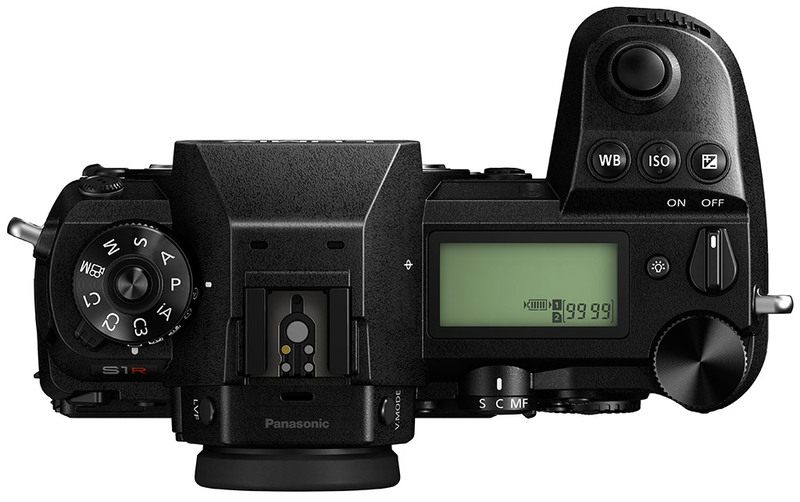 In launching an all-new camera system with a "new," or rather a different lens mount than their already-existing lens products (MFT), Panasonic isn't fresh out of the gate with a new camera system with little to no lens support, both natively or from third parties. By using the L-mount, the Lumix S1R and S1 camera can already take advantage of the current selection of Leica L-Mount lenses. As mentioned, Panasonic will also design and build their own native L-mount lenses, starting with a 50mm f/1.4 prime, a 24-105mm f/4 standard zoom, and a 70-200mm f/4 telephoto zoom. They've also announced a broad lens roadmap, expanding the native S series lenses to more than ten different models by 2020. As for Sigma's role in this new L-mount Alliance, we don't yet have specifics, but the company plan to release their 14 E-mount lenses in L-mount, as well as develop new ones. Panasonic 24-105mm f/4 MACRO OIS LUMIX S at 105mm, f/11, 3.2s, ISO 100. The Panasonic S1 and S1R cameras share identical camera bodies save for the model branding. Anything positive or negative I say in this section applies equally to both cameras. While the Panasonic S1 and S1R aren't hitting store shelves until next month, we have already had two hands-on experiences with the cameras. My colleague, Jaron Schneider, went to Barcelona to try out the cameras at Panasonic's first launch event. 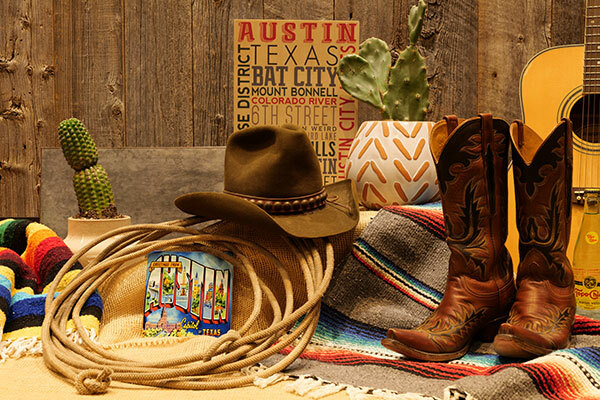 Later, I headed to Austin, Texas to spend a day with the cameras and Panasonic's first three native lenses. During my time with the cameras, both the S1 and S1R had pre-production firmware, so I will not be able to go in-depth with my analysis of the camera's imaging or performance. However, I am able to generally discuss how I feel about the cameras and lenses. Further, raw files aren't supported in Adobe Camera Raw yet, so I cannot share processed raw files. The camera did offer in-camera raw processing, but I only had a day with the S1 and S1R, so I spent it shooting as much as possible, rather than tinkering with the menus. With that said, my general plan is to write a detailed Hands-On Experience, much like my colleague William Brawley did with the Olympus E-M1X back in December. I will be covering some of the same ground as Jaron has previously in his hands-on experience but with my own personal spin. It'll be a "second opinion" type of situation. Further, as the S1 and S1R are identical in numerous meaningful ways, there will be considerable overlap with my written experiences for the S1 and S1R. For people interested in both cameras, I apologize for the redundancies. Without further ado, let's get into it and see what all the buzz is about with Panasonic's brand-new full-frame mirrorless camera system. A somewhat large mirrorless camera, the S1R is very comfortable in the hands. The front grip is excellent and the function buttons on the front are conveniently located. Further, the shutter release position is excellent. When I first picked up the S1R, I was immediately struck by the sheer size and weight of the camera. While other mirrorless cameras, such as the Sony A7 series, have emphasized a small, lightweight design, they've done so at the cost of usability and comfort in my opinion. Panasonic has taken a different approach with the S1R, perhaps at the cost of portability. Which direction is best is a matter of taste. In my opinion, Panasonic's approach is the better one in most cases. The camera has ample physical controls, including a lot of dedicated buttons (many of which can be reprogrammed). The toll for these physical controls is that the camera weighs 2.25 pounds (1,021 grams), which is quite heavy. 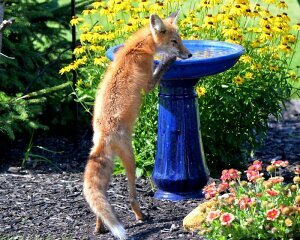 The camera is also nearly 6 inches wide, over 4 inches tall and nearly 4 inches deep at its maximum. It's a big camera and feels more like a full-frame DSLR than it does a full-frame mirrorless camera, generally speaking. With that said, it's also remarkably comfortable in the hand. The grip is very well designed, and the shutter release is in an excellent location and even has a bit of an angle to it, allowing my index finger to rest naturally on the button. The shutter release feels great too, which is something I really appreciate. The top of the S1R has a mode dial, a great top display and important shooting controls, including dedicated white balance, ISO and exposure compensation controls within reach of your shutter finger. Other controls and buttons feel great. Near the shutter release are white balance, ISO and exposure compensation buttons, which you can either hold and cycle with either of the two command dials or press to cycle through available settings. For example, if you hold the ISO button, you can spin a dial to go through available ISO speeds, or you can tap the button to move through speeds. Tap once to go from ISO 100 to ISO 200, tap twice to get from 100 to 400, etc. Three of the most important controls are located within reach of my shooting hand, which is great design. The rear of the camera has a wide array of buttons as well, including a dedicated autofocus joystick and a directional pad surrounded by a rotating dial. The focus joystick is nice for moving the autofocus point, but I did not like the directional pad. It's mushy and unresponsive, and I found myself quickly opting instead for utilizing the AF joystick or touchscreen to navigate menus. Speaking of the touchscreen, the touch implementation is great. However, the 3.2-inch display felt a little underwhelming in general. The triaxial tilt mechanism, which is very Fuji-like in design, works well for tilting when using the camera in landscape orientation but is limited when using the camera in a portrait orientation, as it does not tilt fully in that direction. A tilt-swivel display would be much more practical. The back of the S1R is designed well, save for the mushy directional pad. The joystick, which controls focus point location by default, is much better. The electronic viewfinder is particularly good as well due to its superb resolution and overall smoothness during shooting. The electronic viewfinder, on the other hand, is superb. It is a 5.76-million dot OLED LVF with 0.78x magnification. Other cameras offer similar magnification, but no other camera in its class offers this level of resolution. It is remarkably sharp. Sharpness is but one aspect of its appeal, it is also very smooth during operation, offering 120Hz refresh rate. It's a smooth and sharp EVF and frankly, probably the best I've ever used. The round eyecup is comfortable as well, which is great for extended use. The S1R also offers a top information display, which looks good and does its job. Next to the information display is a button to illuminate not only the display, but a selection of critical buttons on the camera. Similarly useful in low light, when the camera senses dark conditions, it dims the rear display. There's also a dedicated night vision mode, which makes the display red to help preserve night vision. It may not be something many users will need, but the thoughtfulness of this feature is symbolic of the entire camera's design. So yes, the S1R is big and heavy when compared to its full-frame mirrorless competition. But, with the heft comes not only ruggedness and weather sealing, but a bevy of physical controls and intelligent design features. It's a very comfortable and enjoyable camera to use. At the risk of sounding like a broken record, the S1R I used in Austin was not equipped with production firmware. While I'm not sure how much will change with respect to image quality before the camera ships, it's possible that important adjustments to the camera's imaging performance will be made ahead of firmware version 1.0. With that said, I will not be able to make any sweeping claims about the S1R's quality. Further, raw image processing is not yet available for files from the S1R, so I will be withholding analysis of raw files for now. The Panasonic S1R uses a brand-new 47.3-megapixel MOS full-frame image sensor, which is the highest megapixel full-frame sensor in a mirrorless camera to date. Unlike the image sensors in competing mirrorless cameras, the one found in the S1R doesn't include phase-detect pixels. The sensor's native ISO range is 100 to 25,600 and with expanded settings, the camera's ISO can go down to 50 and increase to 51,200. Panasonic 24-105mm f/4 MACRO OIS LUMIX S at 51mm, f/11, 4s, ISO 100. While evaluating image quality using JPEG images can be a little tricky, and I can't speculate with regard to how image processing of JPEG files might change in firmware 1.0, what I can say is that the S1R captures really nice images across a variety of ISO settings. At or near base ISO, images are very sharp and detailed, and I am pleased with the colors and tones from the S1R. In low light and with the ISO increased, image quality remains impressive. While there's certainly some noise and various noise reduction algorithms being applied, the images maintain a good amount of detail and don't take on an ugly, digital appearance. The noise reduction seems intelligently applied to areas of the image with rich detail. Tonal transitions are smooth, and the grain is fine and somewhat film-like in appearance. The quality of noise is perhaps more important than the amount of noise. I don't mind grain if it is uniform and doesn't distract the viewer, and in the case of the S1R, the grain isn't distracting. Panasonic 70-200mm f/4 OIS LUMIX S PRO at 159mm, f/4, 1/200s, ISO 4000. Again, image quality might change in the final release of the camera, but what I can say for now is that barring something unexpected or odd, the S1R will deliver very good image quality. It will be interesting to see how it compares to the Sony A7R III and the Nikon Z7 in our lab tests, but I expect that the S1R will perform well in our battery of tests. Autofocus is a particularly interesting area when it comes to the S1R. Unlike other mirrorless cameras on the market, Panasonic has opted for contrast-detect autofocus rather than phase-detect or hybrid autofocus. This is a fascinating decision and one the company certainly didn't take lightly. As I headed to Texas, I had some concern about how the S1R's autofocus would perform not only in general, but also with respect to continuous and low-light autofocus performance. Panasonic 50mm f/1.4 LUMIX S PRO at 50mm, f/1.4, 1/400s, ISO 2500. As it turns out, not only does the S1R and its 225-area contrast-detect autofocus system work quickly and accurately, but it also performs well in subject tracking and continuous autofocus scenarios. Even in very dim light, the camera did a really nice job of acquiring focus with all three lenses I used, even the 50mm f/1.4 PRO, which was on firmware version 0.2. The S1R offers a variety of autofocus area modes, including body/face/eye detect. The camera does a nice job locating a body in the frame and then dialing in on the face. Locking on the eye was a bit less reliable, although the camera did a good job when the face was moderately large in the frame. For example, the camera did well, even in low light, when shooting a portrait where the subject's upper half was filling the frame. However, it didn't do as well at finding the eyes when it was a full-body portrait. By tapping on different selected areas, which are highlighted with rectangles for body and face and lines for eyes, you can quickly swap between detected people in the frame. Panasonic 70-200mm f/4 OIS LUMIX S PRO at 200mm, f/4.5, 1/250s, ISO 3200. For continuous focus, the body detect, subject tracking and single area modes I tested worked well. Body detect and subject tracking were particularly impressive. Obviously additional testing is needed, but first impressions in this area are certainly positive. Overall, my impressions of the autofocus performance are very positive. I had no issues and was generally impressed with the camera's capabilities. With a 47.3-megapixel sensor, you might not expect much in terms of speedy performance. However, powered by Panasonic's Venus Engine Image Processor, the S1R delivers solid all-around performance. With single-shot autofocus, the camera can shoot at up to 9 frames per second. With continuous autofocus, the speed drops to 6 fps, which is still pretty snappy. Panasonic 50mm f/1.4 LUMIX S PRO at 50mm, f/1.4, 1/60s, ISO 1600. Buffer depths are good, although not quite as good as they are on the S1. The S1R can record up to 40 raw files or 50 JPEGs files in a single burst, according to Panasonic's specs. Importantly, thanks to not only its processing power but also the implementation of an XQD card slot and a UHS-II SD card slot, the S1R works quickly through its buffer. When I was shooting, I never felt slowed down by the camera. Obviously, specs and features are important, but what I care about most is that the camera stays out of my way for what I want to shoot and for me, that's what the S1R did. Sports shooters who need a significant buffer depth may be better served by the S1, but the S1R is no slouch. Not only is the S1R quick, but it's also really enjoyable to use. The menu system is well-designed and of the biggest compliments I can give to a camera is that I didn't have to think very hard about where to find certain settings. Settings are where you'd expect them, and the menu can be navigated quickly, even when you are not experienced with the camera. Further, touchscreen implementation works well, as does the Quick Menu. Additionally, there are some physical aspects of the camera which are particularly impressive. For example, there are illuminated buttons, which is really nice. The electronic viewfinder, which I discussed earlier, is excellent in real-world use. It is very sharp and smooth and is poised to become the new standard-bearer in the industry. The top display is also a welcome addition. Much of what I like about the S1R can be equally applied to the S1, including the excellent build quality and overall camera design, both in terms of hardware and software. The two cameras are very comfortable to use and feature many physical controls. They also utilize the same electronic viewfinder, which is one of the best I have ever used thanks to its industry-leading sharpness and fast refresh rate. What separates the S1R and S1 perhaps the most are their respective image sensors. The S1R employs a 47.3-megapixel sensor, whereas the S1 delivers 24-megapixel images. In both cases, imaging performance is good. However, the sharpness and detail in the S1R files is notably good and while the S1 does a bit better at higher ISO speeds, I still prefer the look and overall quality of images from the S1R. It will be interesting to compare raw files later, but for now, I prefer the S1R's image quality. Performance between the two cameras is pretty similar, although the S1 offers more buffer depth and feels a little bit faster in real-world use when shooting continuously. Both cameras offer really good autofocus performance as well. Video is yet another one of the handful of differentiators between the S1 and S1R. Unlike the S1, the S1R does not have HLG Video recording. Further, the S1R doesn't record 4:2:2 video. Both cameras record 4K/60p video and can shoot Full HD video at up to 180 fps, but the S1 is definitely better-suited for video-intensive work. When it comes to pricing, the S1 is, unsurprisingly, the more affordable option. However, it is still quite expensive, arriving in April with a price of $2,500. The S1R will cost $3,700, making it more expensive than both Sony and Nikon's high-resolution mirrorless cameras. Panasonic 50mm f/1.4 LUMIX S PRO at 50mm, f/1.4, 1/400s, ISO 4000. I don't think it would be unfair to say that the S1 and S1R are two of Panasonic's most anticipated cameras ever. Though the world has had only a few short months to get hyped and excited about them as Panasonic did a very good job keeping their development under wraps until they were ready to share with the world, expectations are high for this newcomer to the full frame mirrorless game. But with that excitement comes expectation, so how well do Panasonic's cameras hold up to the hype? As a note before you continue, the S1 and the S1R are nearly the same camera in just about every regard, from body design to autofocus functionality. With the samples we were able to spend a short time with, even the video features were largely the same (the more advanced video functionality of the S1 will require a paid firmware update after launch, and those functions were not available to test during our short hands-on session). As such, my hands-on for each camera will be the same, with side notes in select sections branching off to discuss major differences. Also, the cameras we were given to test for a very short time were pre-production builds, and as a result we won't be diving too deep or offering detailed opinions on image quality and other features. Raw files will also not be made available at this time. Click here to see our beta S1R gallery images and stay tuned for more! Click to read our Panasonic S1R Hands-on Part I!